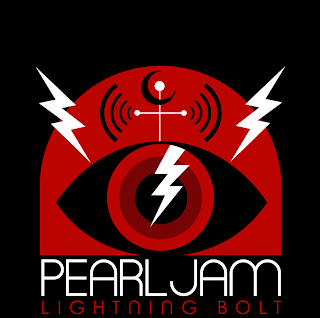 Pearl Jam’s new album, “Lightning Bolt”, has debuted atop the U.S. Billboard 200 album charts with opening week sales of 166,000 copies. Billboard reports it’s the Seattle group’s fifth No. 1 album, following "Backspacer" (2009), "No Code" (1996), "Vitalogy" (1994) and "Vs." (1993). The band has also notched four No. 2-peaking albums with "Ten" (1992), "Yield" (1998), "Binaural" (2000) and "Pearl Jam" (2006). “THANK YOU for helping us capture our fifth No. 1 album!” posted the group on its social media sites. Pearl Jam’s last studio effort, 2009's "Backspacer", sold 189,000 in its first week. The new album's launch represents the smallest debut sales for any of Pearl Jam's studio releases, although it is the largest debut week for any rock album since last November, when Phillip Phillips' "The World From the Side of the Moon" debuted with 169,000. “Lightning Bolt” knocked Miley Cyrus' "Bangerz" down to No. 2 with sales of 72,000 copies. Pearl Jam are currently playing shows on a fall North American tour in support of the new release; this weekend they perform dates in Hartford, CT (Fri) and Baltimore, MD (Sun).